by N. Watts, M. Amann, S. Ayeb-Karlsson, K. Belesova, T. Bouley, M. Boykoff, et al. 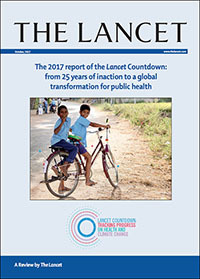 The Lancet, doi: 10.1016/S0140-6736(17)32464-9 (2017). 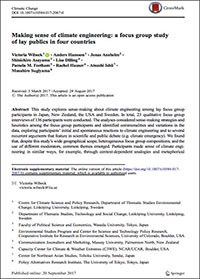 Climatic Change, 1-14, doi: 10.1007/s10584-017-2067-0 (2017). 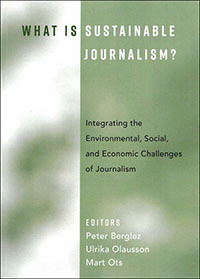 What is Sustainable Journalism?, Ed. 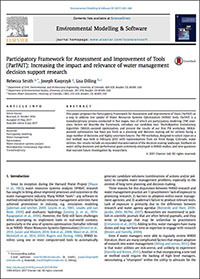 P. Berglez, U. Olausson, and M. Ots, Peter Lang (2017). Environmental Modelling & Software, 95 432-446, doi: 10.1016/j.envsoft.2017.05.004 (2017).